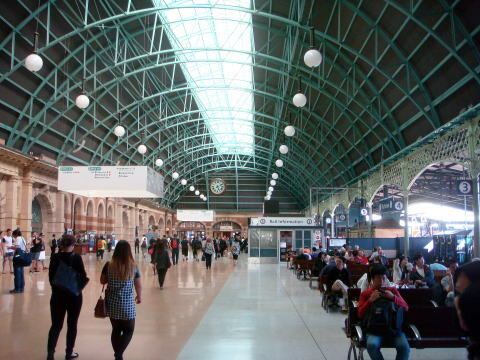 The entrance hall with the Coat of Arms of Australia is the official symbol of Australia. 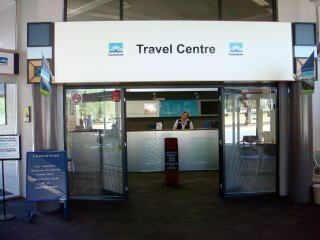 (L) All passengers have to check-in their luggage at this desk. 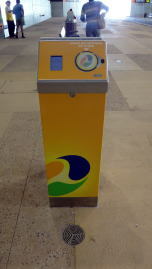 A luggage which weighs more than 20 kg is not accepted to the train. 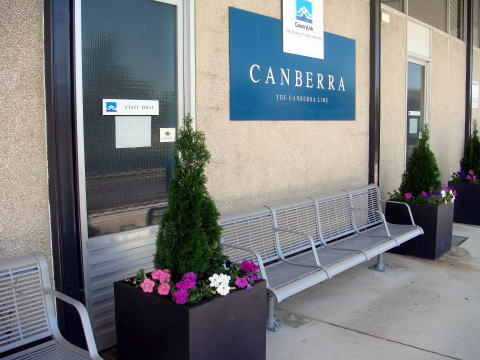 (R) The sign board of Canberra station is placed on the platform. 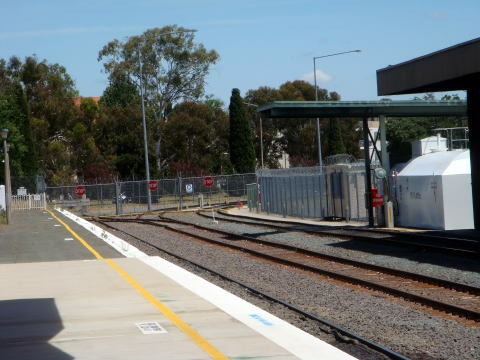 The unique stop sign is placed at the end of railway track, just like the road end. 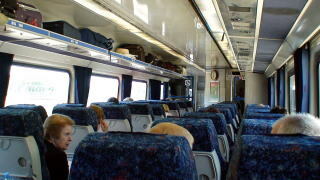 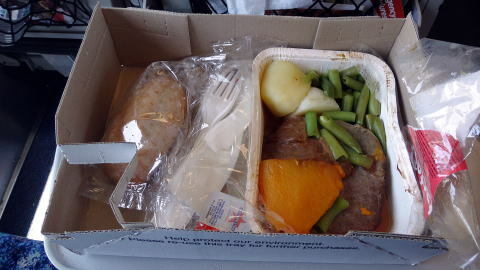 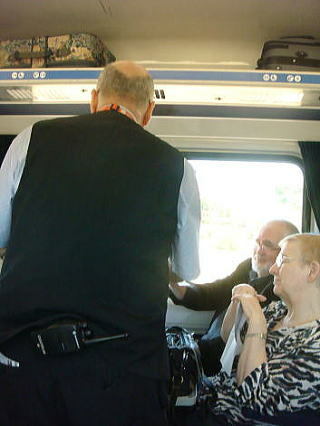 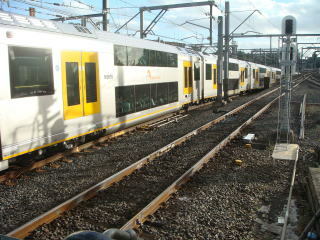 The train consists of three train vehicles: One first-class and two economy-class vehicles. 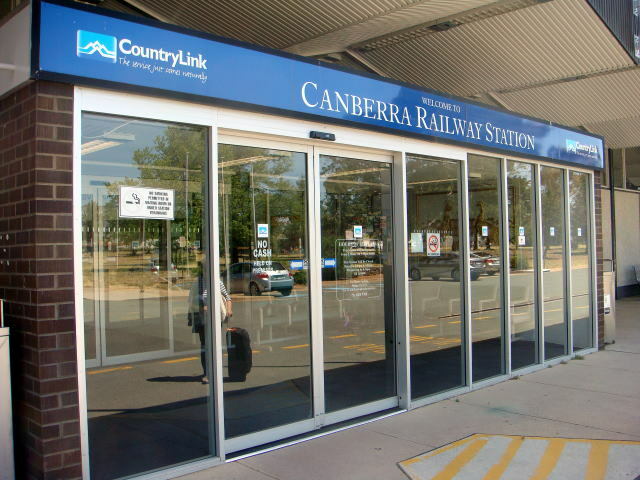 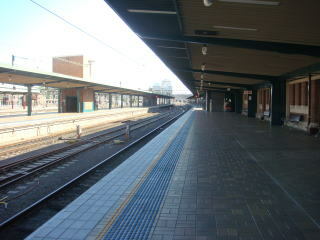 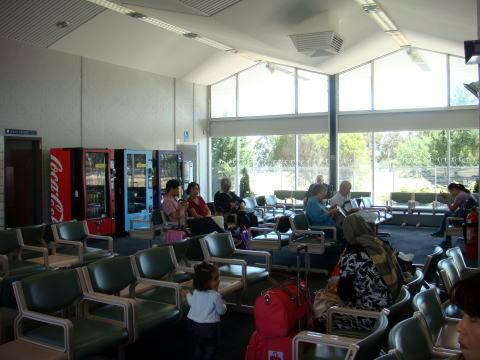 There are three train services between Canberra and Sydney. 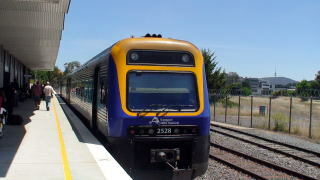 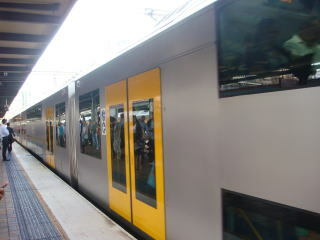 (R) This train runs on the double-track line after the junction with the Melborune-Sydney track to the point west of Gouburn. 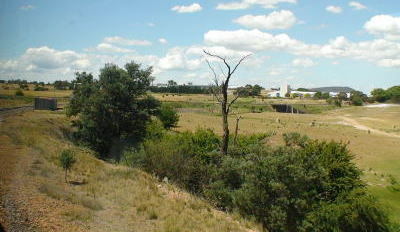 A single-track line from Canberra merges with a double-track line which connects with Melborune. 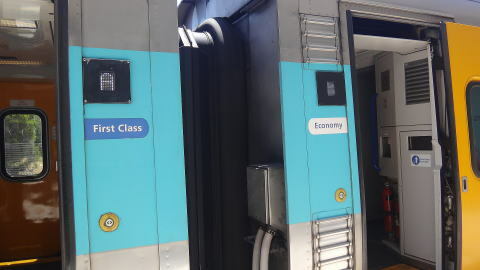 for the economy and first class, respectively. 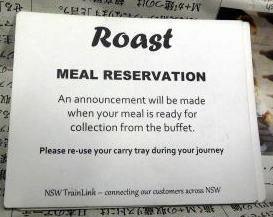 A reservation for a journey is necessary. 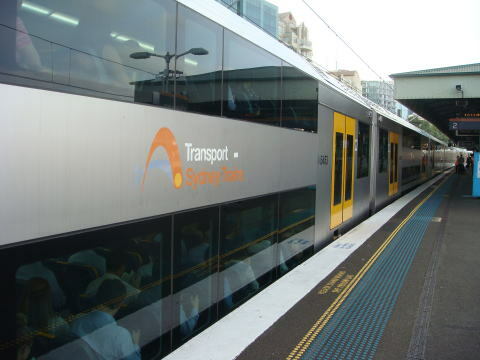 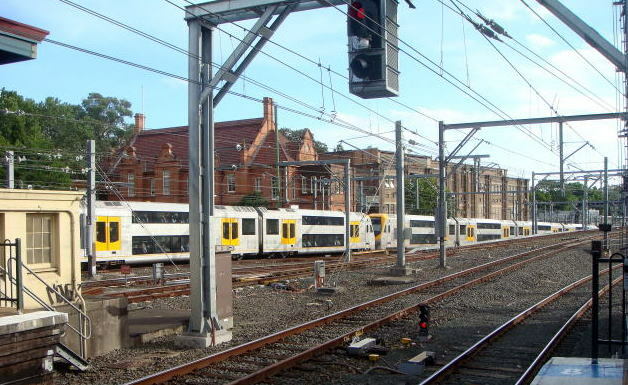 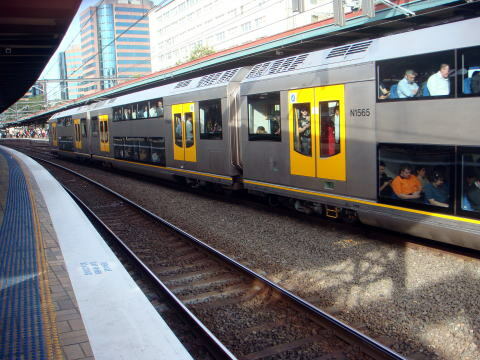 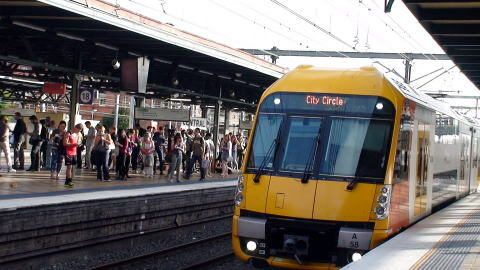 CityRail operated eleven suburban lines, four intercity services, one regional service. 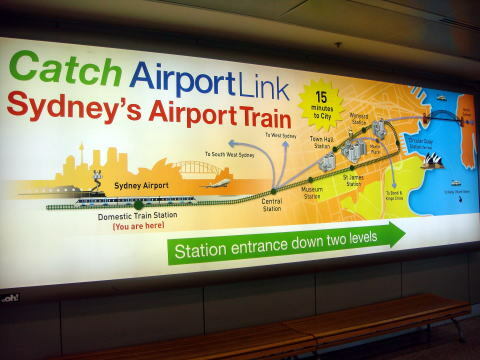 abolished in 2013 when it was superseded by Sydney Trains and NSW TrainLink. 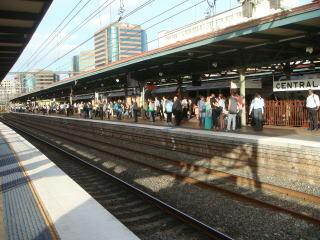 Trains are packed with commuters at the evening time. 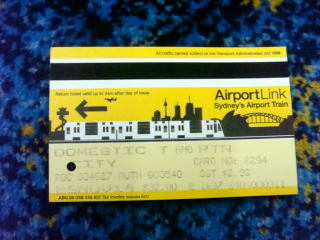 A single ticket to the city: It cost Aus$ 16.40. 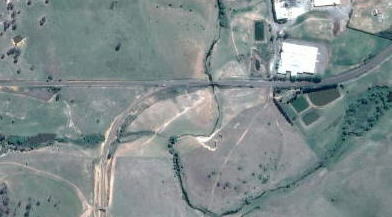 The distances between two stations are 6.7 km. 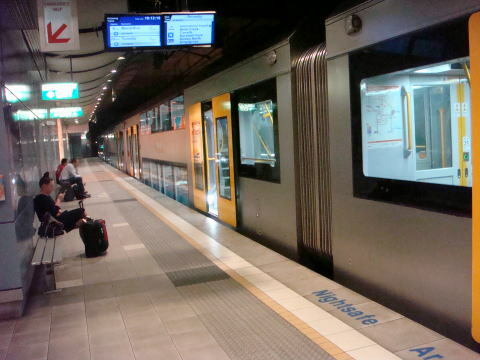 In Tokyo, the ticket fee for a train traveling the same distance would be Aus$2.1. 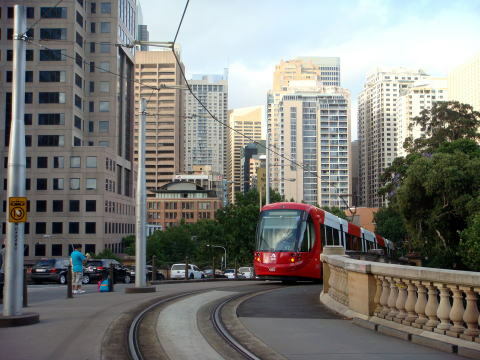 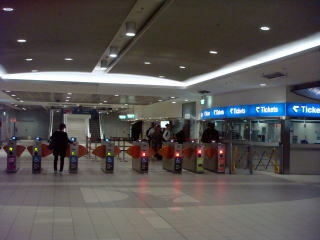 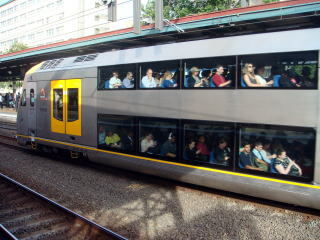 transport service to the people of Sydney, linking Central Station and Sydney's inner western suburbs. 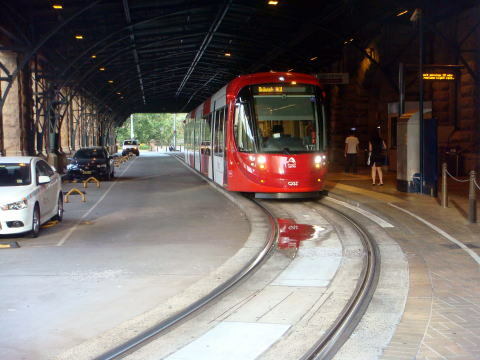 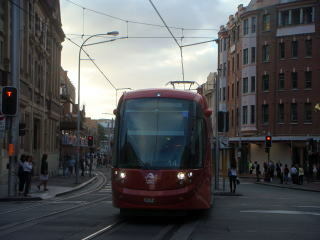 A light-rail train is departing from the Sydney Central station. 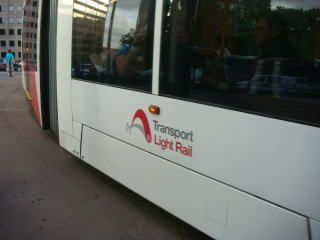 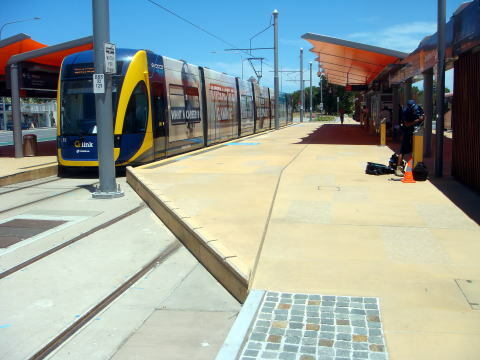 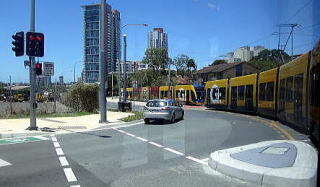 The first stage of the Gold Coast Light-Rail is a 16-station line between Griffith University and Broadbeach. 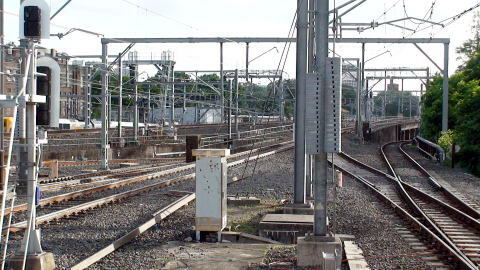 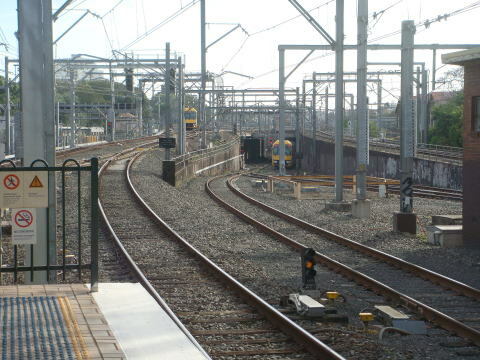 north-west to the heavy rail at Helensvale and south towards Gold Coast International Airport. 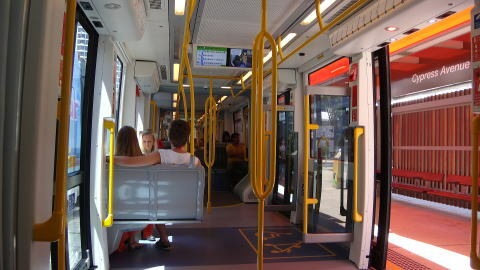 (L) Interior of the tram (R) A ticket register: All passengers have to touch a plastic ticket on this machine before and after the train ride. 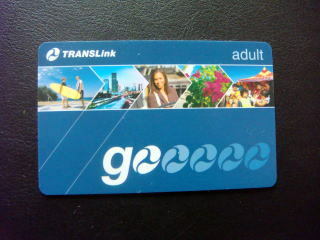 Go card plastic ticket issued by TransLink: The prices are lower compared with a single paper ticket. 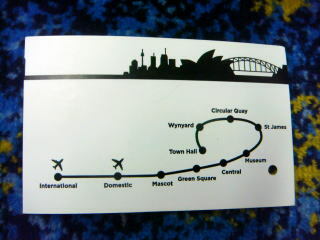 The price for one-day pass is Aus$ 15.00. 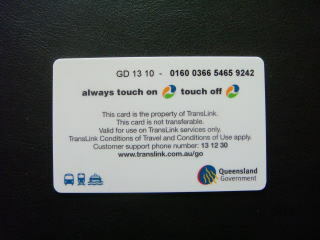 The refundable deposit for a new adult go-card is Aus$ 10.00. 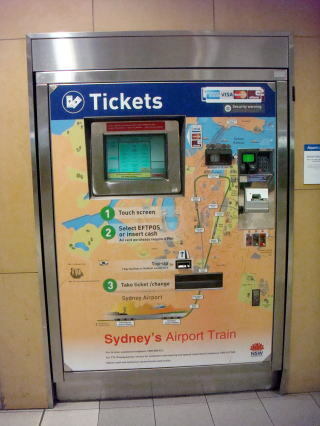 A penalty for a fare evasion is Aus$ 227.00, and fine for smoking is Aus$ 227.00. 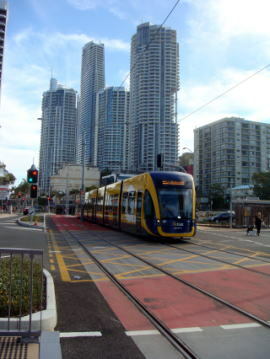 A gold coast tram is running Southport area. 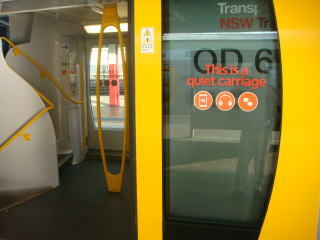 (R) This unique station guide is placed above the train door.